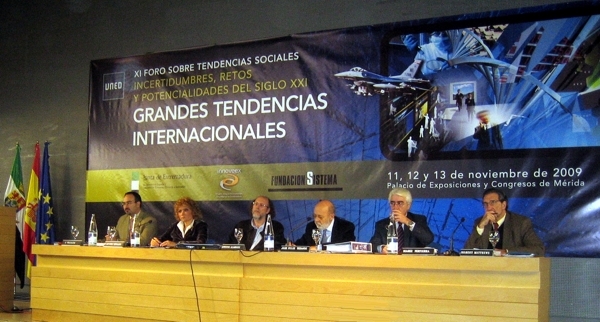 During the days 11, 12 and 13 of November 2009 took place the XI FORUM OF SOCIAL TRENDS: Uncertainties, challenges and potentialities of the TWENTY-first century. Major International trends. The Forum was held at the Palacio de Congresos of Mérida. 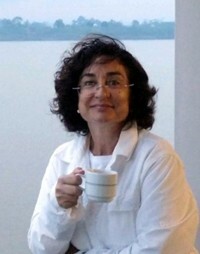 Was organized by the Group of Studies of Social Trends (GETS) in the Department of Sociology III, UNED, and the Foundation System, with the collaboration of the Junta de Extremadura. These forums come to be a continuous work of research and study in and around the main social trends of our time, with the purpose of bringing up to date the data and information available, which are usually presented and contrasted with other prominent researchers, in the successive forums. The GETS brought together some of the best national and international experts on foresight and international trends. The inaugural lecture was given by professor Thomas Fingar, a former chairman of the National Intelligence Council of the united States, whose latest study on Global Trends 2025: A Transformed World is one of the main global referral in these matters. The program that followed the Forum can be found here, or downloaded in pdf format here. 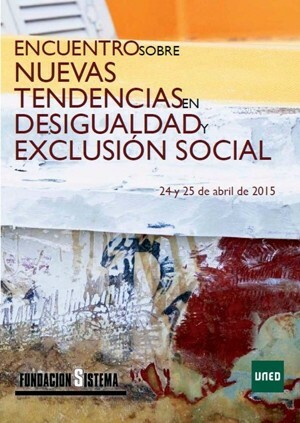 As a student of Sociology, first year, had the immense pleasure of attending. Then I did a memory of the event on the opening conference and the first panel discussion, which is the document that can be read and downloaded at the end of this entry. 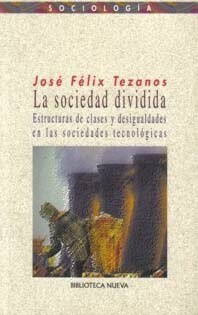 JOSÉ FÉLIX TEZANOS, Major Trends in the TWENTY-first century. 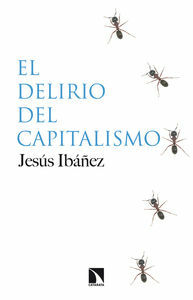 Challenges and uncertainties of the TWENTY-first century. ROBERT MATTHEWS, Wars are Asymmetrical and the Global War on terrorism: how The war paradigmatic of the TWENTY-first century? 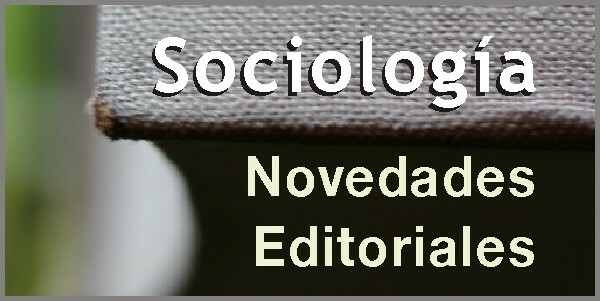 Sociology, like other social sciences, has to be able to peek into the future anticipating trends and ongoing processes, not conforming simply to explain the past or to project images more or less insubstantial and trivial about this.